At 24-Hour Medical Staffing Services, we practice Continuous Improvement in every facet of our business. We periodically review and, as appropriate, re-engineer our business and service delivery processes with an eye to both customer satisfaction and efficiency. As part of our Continuous Improvement efforts, we share best practices company wide. The results of our process reviews are documented in detailed, flowcharted policies and procedures. They are included in our online, password protected, Operations Procedures Manual (OPM), which is used to train new employees and is made available to veteran employees for reference and performance optimization purposes. 24-Hour Medical Staffing Services has a Service Excellence Award program to motivate our healthcare professionals to focus on quality and continuous improvement. We regularly recognize and reward our top performers based on patient care, clinical performance, and customer satisfaction. Each month, company management tracks Quality Metrics by facility and by account, to quickly identify and address issues and trends. We strive to create a customer experience for our clients that engages them as partners and makes them come back to us time and time again. 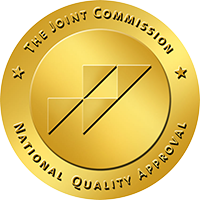 We are Joint Commission (TJC) certified with the Gold Seal of Approval. The Joint Commission has a longstanding commitment to providing meaningful information about the performance of accredited organizations to the public. To report a patient safety event or concern about a healthcare organization to TJC, use one of the following options. What are the benefits of Healthcare Staffing Services certification for a staffing Firm? What are the benefits for Healthcare organizations that utilize Joint Commission certified staffing firms? A greater level of confidence that the processes within the staffing firm support that supplemental staff working in their organizations have met the rigorous requirements set by the Joint Commission. Healthcare Staffing Services certification would provide Healthcare providers with a third party source of information to assist in making informed choices among staffing firms. HCSS certification supports and facilitates Healthcare organizations’ efforts to improve quality and safety of care delivered to their patients.